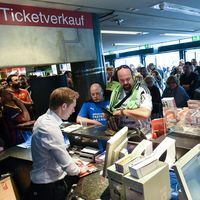 03.06.2015 - NEWS REPORT: Thousands of fans secured their ticket for the 2016 VELUX EHF FINAL4 at this year's event. 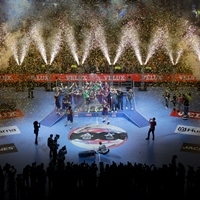 01.06.2015 - BLOG: "The Greatest Show on Earth" has been eclipsed by the VELUX EHF FINAL4, ehfTV commentator Tom O Brannagain insists in his last piece of the season. 31.05.2015 - NEWS REPORT: While the French star added an individual award to the Champions League trophy, the Serbian sharpshooter defended his top scorer title from last year.